Christmas 3D Live Wallpaper, abstract 3D sparkling Xmas tree of light, for celebrating Christmas and winter snow seasons! Wallpaper Christmas Live! Several Christmas background with snow moving. Christmas Live Wallpaper Free” is a stunning 3D live wallpaper featuring a sparkling Christmas Tree of light. 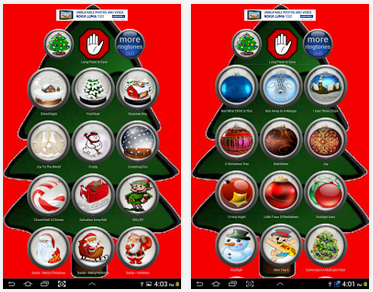 Christmas Ringtones brings 45 free ringtones and sounds to your Android device. Beginnerstech wish all our readers a Merry Christmas and a Happy New Year.